donnie darko | Hey nerds! When Simon Pegg’s a fan, you know you’re in grand geek territory. Dark Bunny Tees, the film & TV-inspired T-shirt collection masterminded by Alex Chenery, already has the plaudits rolling in from respected geeks of note so doesn’t really require my stamp of approval; but hell, I’m gonna give it anyway! The new officially licensed ‘Sherlock’ range, inspired by the Beeb adap’s characters and episodes, is the one to watch – but make sure to head over to the DBT site to discover your next fanboy fashion statement. From expected genre big-hitters (‘Doctor Who’, ‘Batman’) to quirky cult faves (‘The Big Lebowski’, ‘Arachnophobia’), Chenery’s got it covered. The ‘Dark Bunny’ moniker is suited to a standout tee that takes its inspiration from Richard Kelly’s warped noughties movie masterpiece. 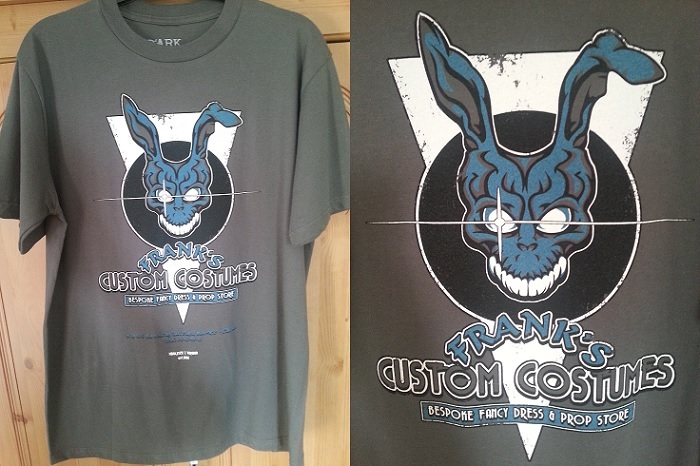 I’ve taken some shots of my very own ‘Donnie Darko’ T-shirt below; it’s hard to miss the tee’s centrepiece recreation of the apocalyptic rabbit Frank, but diehard Donnie fans will love the hard-to-miss references such as the featured ‘Why are you wearing that stupid man suit?’ quote and the fact that Frank’s fictional costume shop is based in our hero’s hometown of Middlesex, Virginia. Basically, it’s a dream design for Darko devotees. 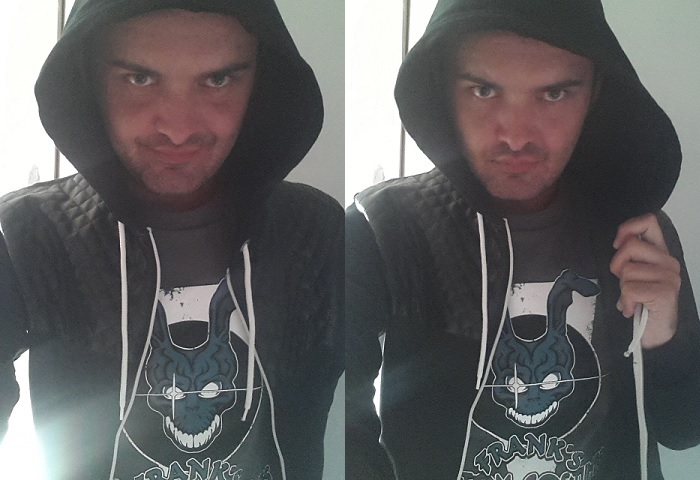 Of course, to show off the doomsday bunny to full effect, I’ve donned a Donnie-style hoodie, put on my best superhero/anti-hero angst face, and travelled through a time-space camera lens wormhole to bring you the selfies below. …They made me do it. Want more dark bunnies where Frank came from? 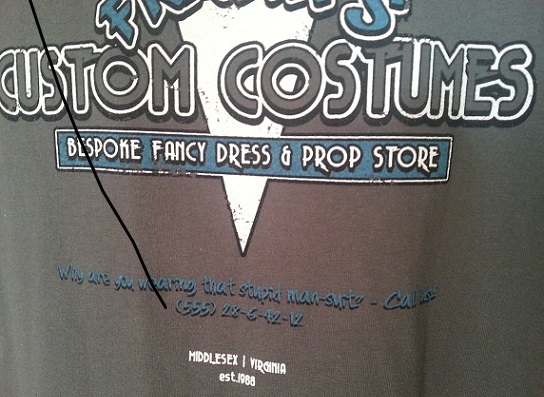 Don’t forget to follow @DarkBunnyTees on Twitter.